One of my favorite parts of being a designer is upholding the practice of keeping an Idea Log. Actually, you might say I’m an overachiever in this respect, because at any given moment I’m usually keeping 5+ idea logs for different subjects. An idea log is a solo, visual record of thinking, one that you create as you think rather than after the fact, as you would a journal. Moreover, the idea log is a kinesthetic tool for the thinking itself, giving you space and opportunity to let your mind wander to creative, out-of-the-box thinking. Because they’re your own, idea logs are a safe space to explore half-baked thinking and relate your own life experiences to the problem at hand. The first reason why I love idea logging is because I like having a record to refer back to. Idea logs help you capture thoughts that pop into your head while on a walk, record meetings or conversations for later verification, and create a record of past mistakes so you won’t repeat them. 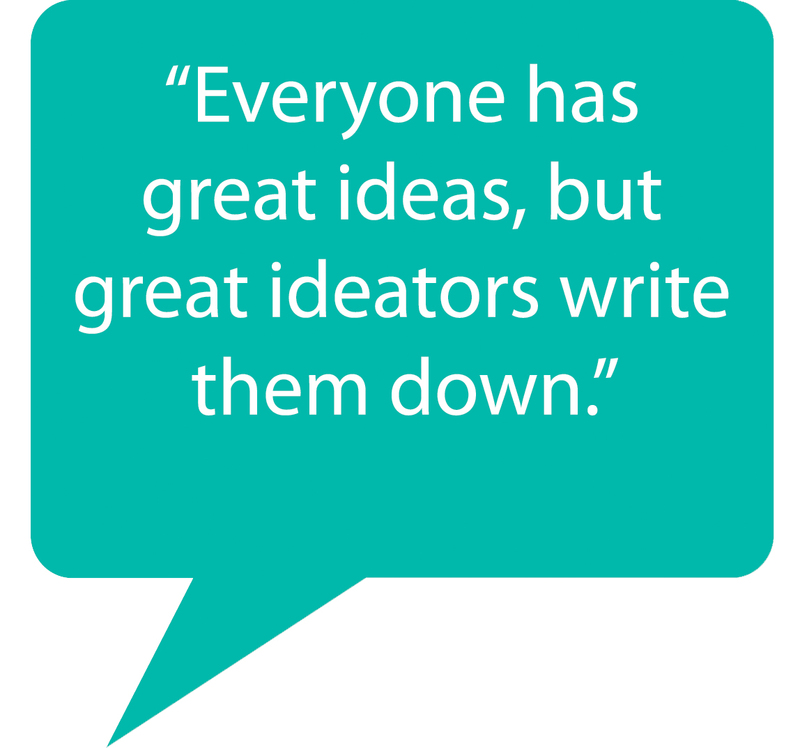 Additionally, I find idea logs to be one of the best tools for processing thoughts and working through problems. For me, scrawling out thoughts on a blank sheet of paper is an excellent way to jump-start a project that I’ve put off for awhile. Or, if I’ve been talking an idea to death with colleagues, working alone over a notebook is the perfect way to clear my head and move on to fresh thinking. Some people use one log to capture all of their ideas. The great advantage of this is that with just one notebook, it is easier to carry everywhere, which means you always have it for jotting down moments of brilliance or looking back on. I personally prefer keeping separate notebooks that are specific to a project or subject, so my thoughts are somewhat organized. In order to do this, I usually carry around a stack of post-its so I can move thoughts from whatever I have on hand to where they belong. Find a place that is comfortable and free of major distractions, and make sure you have the things on hand that help you think best, like good snacks, music, colored pens, and craft supplies. To get to the good stuff, you need to give yourself enough time to relax: think 45min+. Once you get started, try to go through as many pages as possible, because the point is to get beyond your initial thinking, which will take up the first few pages. If you’re truly an idea log master, you should also be striving to idea log every day, a task that is difficult but not impossible. The key takeaways from an idea log session come out in the last ten minutes, when you look back on what you’ve logged and take notes on what you’ve learned. This might take the form of identifying patterns and themes, or simply highlighting the most important stuff. To this end, make sure to write legibly and avoid excessive shorthand so you can understand what you’ve written even after a few days have passed. In order to make implicit leaps and understand subtle nuances within your thoughts, you need to allow yourself to capture your ideas before you’d be ready to share them – in other words, to capture half-baked and wacky thoughts. You also need to give yourself permission to let go of laying out the perfect page, spelling everything correctly, and making it look pretty. If you’re going for style points, you’re probably not allowing yourself to think deeply enough. I often find that when I sit down to idea log about a framework, the first thing that pops into my head is something completely unrelated and mundane, like what I need to pick up at the grocery store later. Allow yourself to work through these roadblocks by thinking on them, making a list or otherwise capturing, and moving on. While your goal is to get deep into a topic, you should definitely indulge these distractions, as sometimes the most surprising insights come out of serendipitous explorations. What are your favorite ways to idea log? 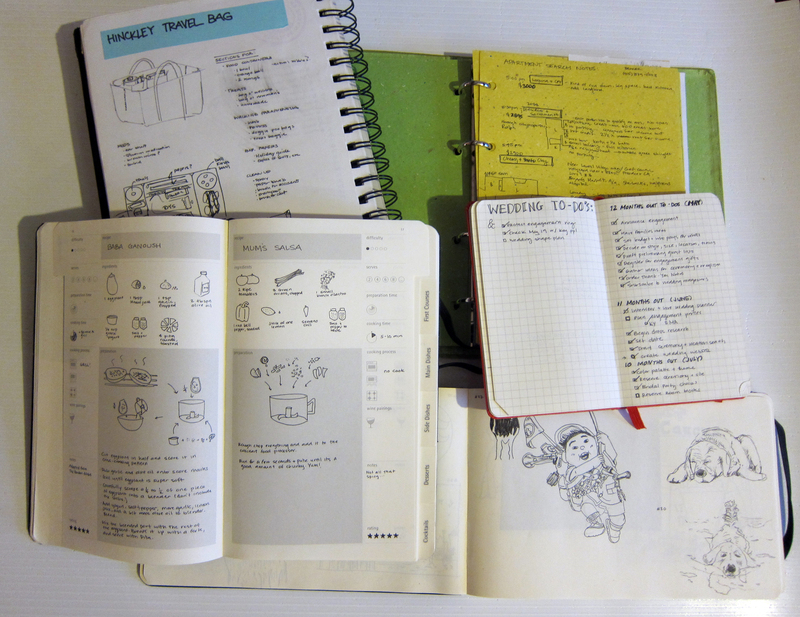 Do you have any favorite notebooks or tools for idea logging?